Consumers Union testimony before the House Energy and Commerce Subcommittee on Digital Commerce and Consumer Protection on combating robocalls and caller ID spoofing. Despite some progress made by regulators and phone companies to limit robocalls, complaints continue to skyrocket, with consumers filing at least seven million complaints about violations of the Do Not Call list in 2017. The testimony highlights legislation, like the ROBOCOP Act and HANGUP Act, that would better protect consumers, as well as steps the FCC should take to ensure that consumers aren’t hounded by robocalls. 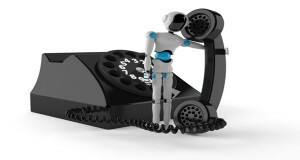 The testimony also warns that essential legal protections against robocalls under the Telephone Consumer Protection Act (TCPA) and FCC rules remain at risk.